Having occasional bouts of pain and fatigue is nothing unusual. But if the pain is chronic and prevalent and inhibit your day to day functioning, it might be indicating something deeper. Fibromyalgia affects 2% to 4% of the population, states a 2006 study published in the Journal of Current Pain and Headache. The study suggests that this condition is characterized by a lower pain threshold and is associated with genetic factors that can make some people more likely to develop fibromyalgia. It is a chronic condition affecting the central nervous system that causes widespread pain throughout your body. Although, there are varied opinions about the underlying cause of this pain, Pain Research Forum states that Fibromyalgia maybe arising from changes in pain processing in the central nervous system and peripheral nerve abnormalities. 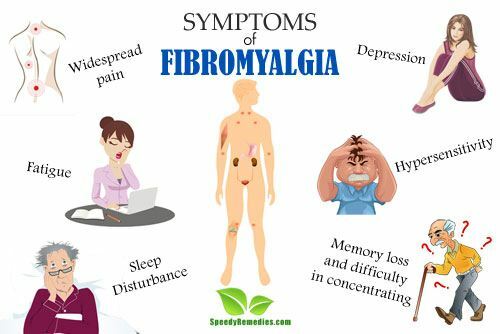 Since the symptoms of fibromyalgia are common and overlap with other diseases like hypothyroidism (underactive thyroid gland), systemic lupus (body’s immune system mistakenly attacks healthy tissue) or rheumatoid arthritis (inflammation in the joints), it is a challenge to diagnose it. Data suggests that 3 out of 4 people with fibromyalgia remain undiagnosed. Usually blood tests, X-rays or scans are conducted to exclude the possibility of other diseases. Fibromyalgia affects more women than men. It usually develops between 35 to 55 years of age, but can also occur in children, teens and elderly. Although this condition is not life threatening, living with fibromyalgia can be very challenging. If you have a health problem affecting joints, bones and muscles, you are at a higher risk of developing this condition. Several studies indicate that women who have a family member with fibromyalgia are more likely to develop this condition. Symptoms of fibromyalgia are unpredictable and vary from person to person. For some, the symptoms may disappear for extended periods of time, even for years, while for others these symptoms may exist every day. Widespread and chronic body pain is the primary symptom of fibromyalgia. In this condition, specific parts of your body are tender to touch. These are called tender points. When firm fingertip pressure is applied, these tender points become sore or painful. The pain is more like a shooting or stabbing pain. It can vary in intensity and can migrate to any part of your body. According to a 2006 study published in the Journal of Arthritis Research & Therapy, the cause of this widespread pain is associated with abnormalities in Central Nervous System sensory processing as well as peripheral tissue abnormalities. Fibromyalgia pain is consistently felt in deep tissues including ligaments, joints and muscles. Patients of fibromyalgia have increased sensitivity and a lower threshold for pain due to some changes in the brain and associated signals. There are certain chemicals in the brain called neurotransmitters that signal pain. Then there are pain receptors that receive signals from these chemicals. When these chemicals increase, pain receptors also increase in sensitivity and overreact to pain signals. This results in higher sensitivity in patients. Sensitized patients are not only sensitive to things that should hurt, but also to ordinary touch and pressure as well. Tissues of your neck, upper shoulders, chest, rib cage, lower back, thighs, arms, and areas around certain joints are more likely to be painful. Emotional stress, poor sleep, injury, exposure to damp or cold, and fatigue can aggravate the pain. Chronic fatigue is the most common symptom of fibromyalgia patients. Many factors may play a role in causing the fatigue experienced in fibromyalgia. One of the reasons is the ongoing pain. The pain creates muscle tension which tires you out often. The fatigue is a result of your body trying to fight the pain experienced both physically and mentally. Another reason for the fatigue is the lack of deep and sound sleep. Despite getting a good sleep, you may often wake up stiff, fatigued, and in pain. According to a study published in the Journal Pain in 2002, poor sleep quality has a positive relationship between pain and fatigue experienced in fibromyalgia. The exhaustion and weakness can often make you unable to engage in valued activities like socializing or self-care. This makes fibromyalgia patients more susceptible to depression. The National Sleep Foundation states that about 20% of fibromyalgia patients also have depression or anxiety disorder. Sleep disturbance is one of the most prominent symptoms of fibromyalgia. Patients of fibromyalgia show sleep disturbances, difficulty in falling asleep, difficulty staying asleep, early morning awakenings, frequent arousals during the night. This results in waking up un-refreshed. During sleep, patients are often interrupted by bursts of awake-like brain activity, similar to those experienced during waking periods, thereby limiting the amount of time spent in deep sleep. A study published in the Journal of Arthritis Care and Research in 2008 reveals that high prevalence of sleep problems plays an important role in exacerbating the symptoms of fibromyalgia. The study suggests that improving sleep quality in fibromyalgia patients may help decrease the pain; the focus although should be on the quality of sleep, rather than the quantity. There is also a close connection between lack of sleep and depression. A study published in the Journal of Psychosomatic Research in 2002 suggests that depressed patients with fibromyalgia report lower levels of activity and increased sleeping during the day, and significantly more sleep interruptions and movement at night. According to a 2011 study published in the Arthritis & Rheumatism Journal, sleep deprivation is associated with an increased risk of developing fibromyalgia. This study says that sleep deprivation or lack of restorative sleep could be a possible risk factor of fibromyalgia. Patients with fibromyalgia often report cognitive complaints, including mental confusion and decline of memory and mental faculties. Mental confusion along with memory loss and difficulty in concentration is often termed as ‘fibrofog’. Fibrofog affects planning and doing mental tasks. Even putting a coherent sentence together can be difficult for fibromyalgia sufferers. You may seem to mix up names and details. Patients of fibromyalgia often complain of reduced attention span, lack of alertness and inability to remember things. According to a 2005 study published in Journal of Psychosomatic Research, fibromyalgia patients reported lower memory capacity and more memory deterioration than control groups. Sensitivity to light and sound is very common in fibromyalgia patients. This sensitivity affects all senses and so normal things that are not painful to others are painful to fibromyalgia sufferers. They have a heightened sensitivity to cold temperature, bright light, noise, smell and touch. Loud people, blaring TV, chemical smells like perfume or cleaning products, bright lights or sunlight, and changes in the seasons can send your senses out of control. According to a 2011 study published in the Archives of Physical Medicine and Rehabilitation, women with fibromyalgia reported increased sensitivities to stimuli in the environment. The study further states that the presence of such sensitivities may contribute to difficulties in daily functioning of fibromyalgia patients and add to their stress, anxiety, and fatigue. Sensitized fibromyalgia patients exhibit greater susceptibility to a range of environmental factors including allergies, migraines, chronic pain and fatigue, found a 2006 study published in Seminars in Integrative Medicine. 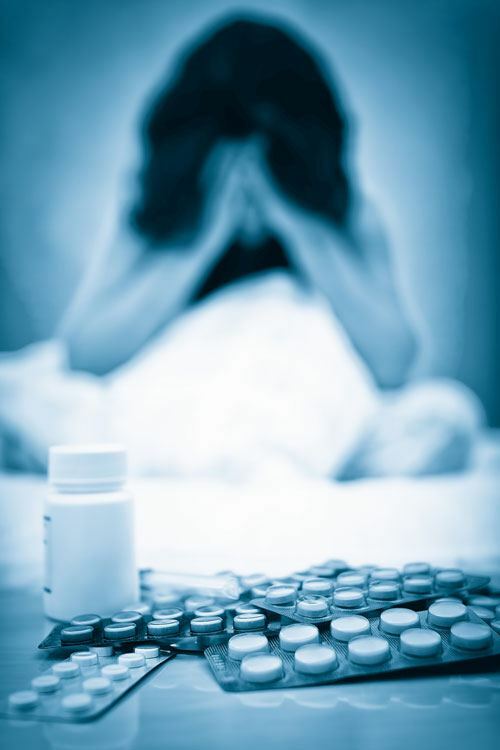 Many fibromyalgia patients experience chronic depression. About 20% who live with this chronic pain condition also suffer from depression, states Anxiety and Depression Association of America. According to Harvard Medical School, chronic pain sufferers have 3 times the average risk of developing psychiatric symptoms like mood or anxiety disorders and depressed patients have 3 times the average risk of developing chronic pain. Pain in itself is depressing and depression intensifies pain. A study published in Sleep Medicine Reviews in 2013 states that insomnia, chronic pain, and depression often co-occur and are mutually interacting conditions. Pain slows recovery from depression and depression makes it difficult to treat pain. This sometimes causes patients of fibromyalgia to drop out of pain rehabilitation programs. Depression leads to isolation and isolation in turn leads to further depression. According to a 2010 study published in the European Journal of Pain, fibromyalgia patients with chronic pain seemed to have more mental distress including depression and anxiety than healthy controls. Include regular exercise in your daily routine. Start with gentle exercises and gradually build your stamina and endurance. Try to get good amount of deep sleep as it will help you cope with fatigue and pain. Ventilate your home of any strong smells. Avoid harsh temperatures or wear glares inside or outside your home if bright lights tend to irritate you. For those experiencing hypersensitivity, use headphones to eliminate loud noise. Apart from taking energy-boosting supplements, you need to take food rich in minerals and vitamins. Adequate amount of nutrients can provide you with energy. Take foods rich in vitamin D, magnesium, vitamin B and Omega 3 fatty acids. Seminars in Integrative Medicine – Environmental Sensitivity: A Neurobiological Phenomenon?